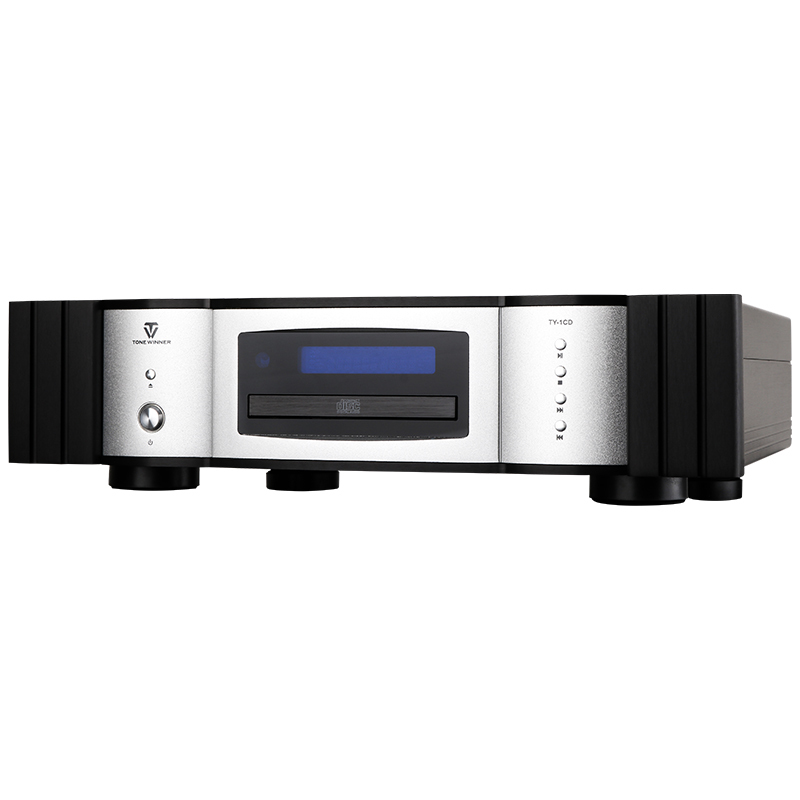 The shape of the TY-1CD is the same as that of the previous Tianyi HI-FI flagship product. Made of classic black and white all-aluminum alloy, it expresses Tianyi's consistently simple and atmospheric design style; many exquisite curve designs outline the shape full of tension; the angular design reveals a tough atmosphere in elegance. The body shell is anodized to ensure that the body color stays bright and fresh for a long time. The fine LCD dot matrix screen is integrated with the machine compartment, and the delicate and compact function buttons are connected in a line. Together with a refined aluminum alloy remote control, the performance in both texture and feel is satisfactory. Nothing gives a luxurious and elegant visual impact, and it is full of examples of flagship products. The output interface of TY-1CD adopts 24K gold-plated terminals, which can reduce the fretting corrosion of the metal contact surface, thereby reducing the contact resistance and increasing the current continuity. At the same time, it can effectively enhance the stability and integrity of signal transmission and reduce signal transmission. The resulting attenuation value avoids the instability caused by high attenuation values ​​for high and low frequency signals and minimizes signal loss. The imaginative decoding "core": using ESS9028, the flagship chip of ESS Company of the United States, this chip is known as "the industry's top digital audio decoding chip", its signal-to-noise ratio is as high as 129dB, the total distortion is lower than -120dB, Supports up to 32bit/384kHz high specification input signal, supports multiple HD audio format decoding, and has amazing performance! In addition, the ESS9028 can directly transmit and play 3.078mhz DOP (DSD, SACD) through coaxial and optical fiber, which is beyond the reach of other decoding chips. ESS9028 chip can guarantee super resolving power, sound sound field is relatively open, real sense of the scene and natural overtones, the sound is exquisite and embossed, the music tastes strong, the texture is very good, and the low frequency expressiveness is very strong. Military-grade clock system: In order to maximize the performance of the DAC chip, Tianyi specially customized a CS2000, the top-grade high-precision clock system module of Cirrus Logic. This clock system uses a programmable delta-sigma fractional analog PLL (phase-locked loop) frequency synthesizer to stabilize the frequency synthesis/clock generation of the reference clock and generate a lower synchronous clock than the external noise at frequencies as low as 50 Hz. Jittering clock. Digital PLL can be used to generate analog phase-locked loop multiplication factor, ensuring 8~75MHz reference frequency, 6~75MHz output frequency, 50Hz ~ 30MHz input synchronous clock and 1Hz jitter suppression angular frequency. What makes the CS2000 even more unique is that it can provide both a clock generator and a clock clearing function with a single IC. This integration reduces the number of components and board space required for an audio system. Compared to other solutions in the industry today, this family of products can significantly reduce Jitter, making it ideal for professional audio, high-end consumer markets and mainstream consumer audio/video applications. High-performance operational amplifiers: I/V conversion circuit op amps use TI's top-of-the-range fully differential op amp OPA1632, which reduces even harmonics, reduces common-mode noise interference, and maximizes the high-fidelity performance of balanced transmission signals; The balanced-to-unbalanced op amp uses TI's top-of-the-line bipolar op amp OPA1612, a high-performance, dual-channel, bipolar input audio op amp with distortion as low as 0.000015% and noise density as low as 1.1nV /√Hz! Selected high-end custom capacitors: ELNA large-capacity high-quality capacitors are used for filter capacitors, and ELNA audio capacitors are used for signal-coupling capacitors, which provide strong guarantee for soft and flexible low frequency, pure thick warm intermediate frequency and fine transparent high frequency. High-end custom movement: As an indispensable part of the CD player, the designer finally selected this Tianyi custom movement under more than 20 trial and error. The overall structure of the movement is firm and reliable, the accuracy of reading the disc is extremely high, and the metal shockproof base is added, which has excellent shock-proof cushioning effect, and at the same time effectively suppresses the self-existing vibration and the external vibration to reduce the jitter of the optical head reading system and reduce The generation of errors increases the accuracy of reading. 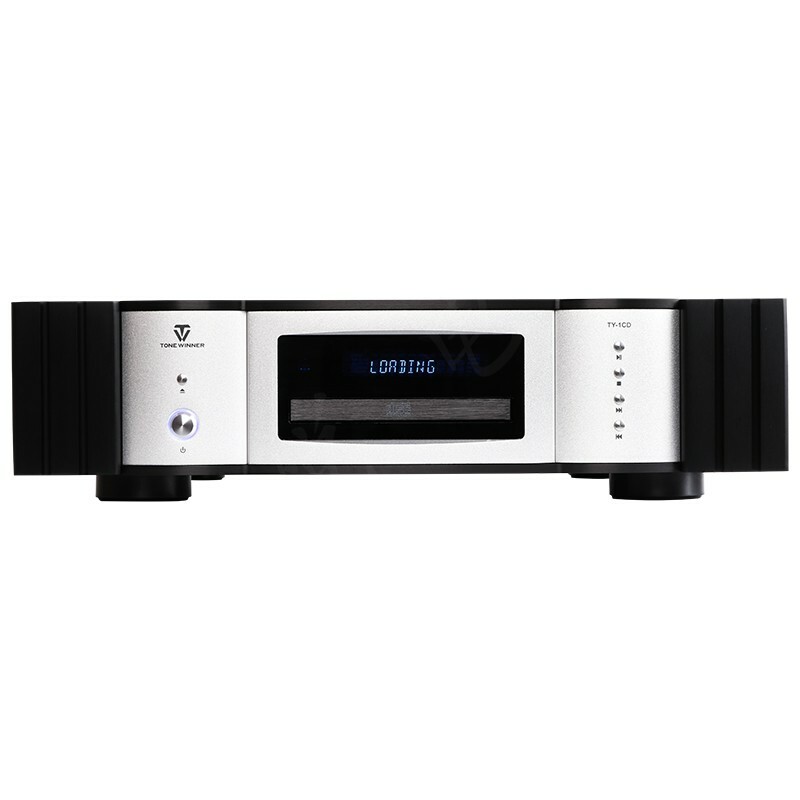 In order to satisfy the audio player's more advanced gameplay of the CD player, the output part of the TY-1CD provides two parts: analog output and digital output. The analog output section includes two sets of unbalanced outputs and a set of true fully balanced stereo analog audio outputs, all of which have an analog output filter line optimized for group delay. Advanced audio players know that a true fully balanced output sound is more transparent than an unbalanced output, and the sound field is wider. In the amplification process, the balanced transmission uses the phase cancellation principle to minimize other interferences in the audio signal transmission process. 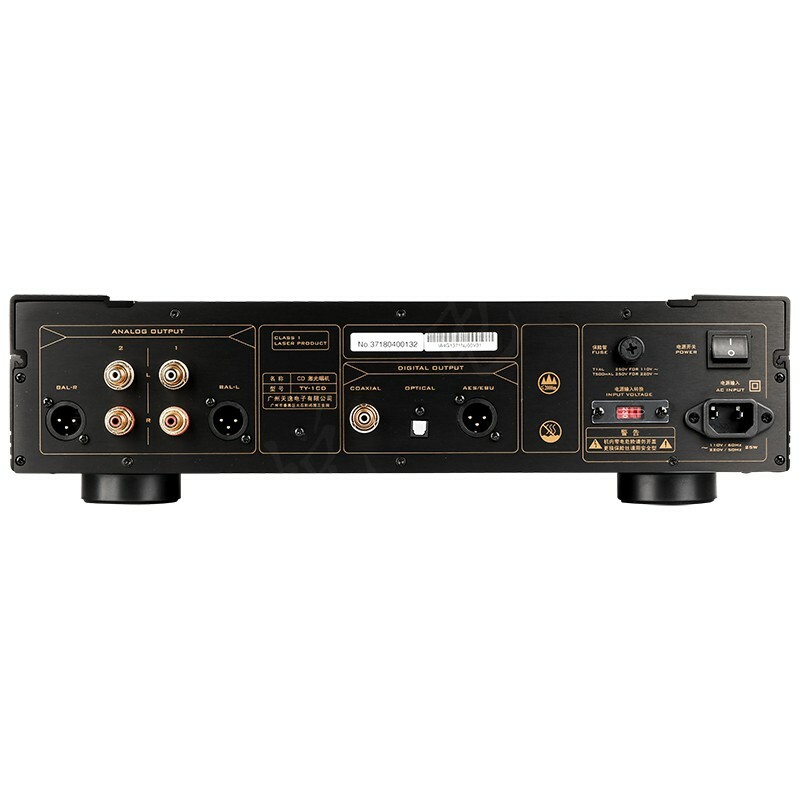 The digital output section includes a set of coaxial, fiber optic, and AES/EBU digital audio signal outputs. The AES/EBU output port is not common. Only a few Hi-End series CD players are equipped. Through this interface, various digital audio devices can exchange digital audio data, timing information, control information, etc., and the transmission mode. 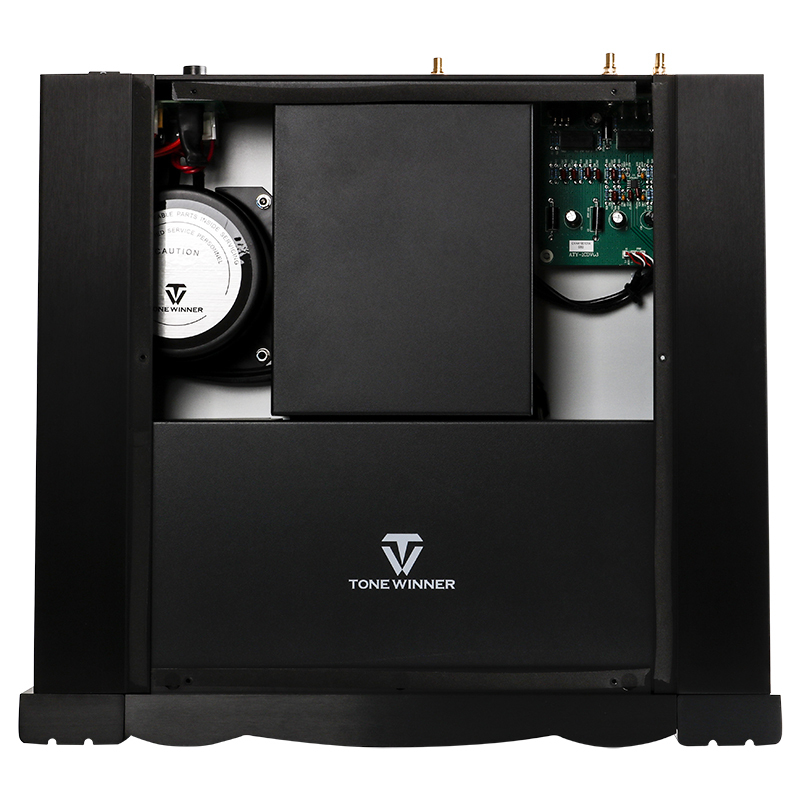 Strong anti-interference ability, providing better performance for back-end power amplifier equipment. With the Tianyi's flagship Hi-End front and rear AD-1PRE/AD-1PA, its wide and large sound field, clear and accurate positioning, and three-dimensional distinction are like flowing and magnificent music pictures. Its three-frequency balance, high-frequency clean and delicate, sweet and charming, long sounds, like a spring breeze; medium frequency thick, texture, dense, rich and daring, strong analytical power, rich and beautiful music details; low frequency and powerful, send and receive freely The dive is deep. All in all, the TY-1CD sounds both soft and soft, both with a super-clear clarification and a strong bile. The sound is sweet and fascinating, and people have a "tank fish can make a hundred heads. According to "the beauty of the joy of pleasure."